SPRINGDALE — Climbing routes on cliffs used by nesting peregrine falcons in Zion National Park have been temporarily closed. The Great White Throne (beyond single and double-pitched climbs). Isaac (in Court of the Patriarchs). Middle Fork of Taylor Creek. Closures are implemented due to the falcons’ sensitivity to disturbance during the nesting season. If disturbed, a nesting pair may abandon their nest site and not nest again until the following year. The closure date is based on analysis of data collected from 2001-2018 regarding the peregrines’ arrival time to nesting cliffs in the park. Park wildlife biologists will monitor the nesting activity of Peregrine Falcons throughout the 2019 breeding season. Cliffs that have been closed but are not being used for nest sites this year will be reopened when nest locations have been determined, typically by late April or early May. Those cliffs being used for nest sites this year will be monitored until the chicks fledge, usually in late July, and then will be reopened to climbing. 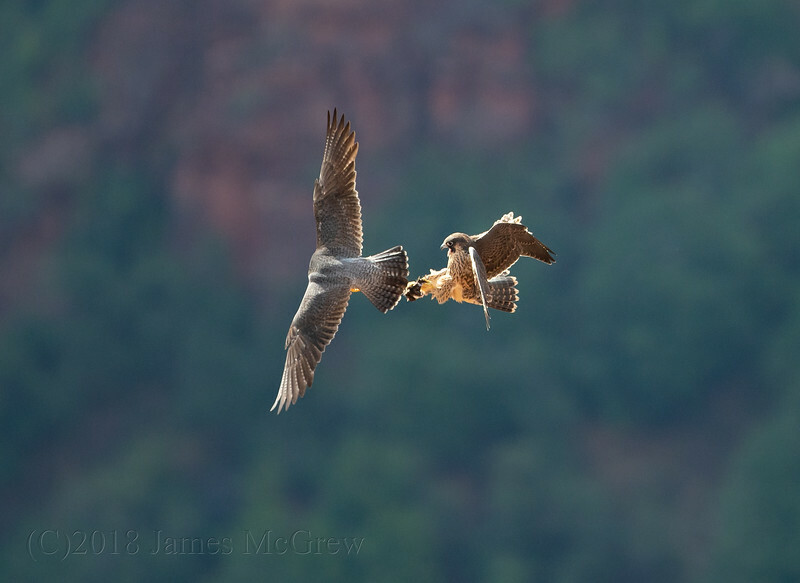 Zion National Park is home to a high concentration of breeding Peregrine Falcons each spring and summer. These birds of prey were listed as an endangered species in 1970 under the Endangered Species Act. Their decline was primarily due to the effects of DDT, an insecticide which caused the birds to produce thin-shelled eggs that were easily broken, killing the developing embryo inside. For up-to-date information on the status and maps of the closed climbing cliffs, visit the Zion National Park website. Climbers are responsible for checking specific maps of closed areas. The website will be continuously updated as cliffs are reopened.